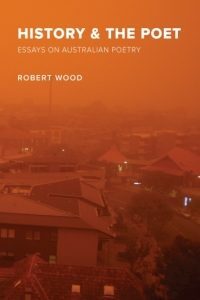 Robert Wood’s remarkable series of essays on Australian poetry, History & the Poet, is engaged with the political but is less a call to arms than a call to roots. The central question of this innovative work is: “What is the poet in Australia to do” (9)? Wood’s myriad answers include: “He must find his own dead, for that will give him his own voice and his own method of madness …. he must learn the rituals of the land …. [and] he must learn how to make it rain in words” (9). If this is a manifesto for poetics, it is a truly eloquent and quite beautiful one. Evidently, a connection to land is crucial for Wood as is a re-commitment to the varied, the diverse, and the hybrid. He notes the disparity between the predominance of white hands clapping at poetry readings (66-67) and the multicoloured hands that have built our suburbs and skylines, farmed our soil, and explored and shaped our land. The country belongs to its original custodians, who in turn belong to it. And all poetry, as it is composed in, of, and for the land on which it is written, is inherently poetry of place. These observations all ring true. But how do we invite the participation of non-white poets and audiences at poetry events? Wood suggests that, as one move towards inclusion, non-indigenous poets incorporate the languages and myths of Indigenous Australians into their poetry. Wood’s collection opens with a letter addressed to his nephew, whose father is Ngarluma, in which Wood writes of a poetics of place that does not give voice to Spanish duende, nor the thaherao of India, nor England’s nostalgia but, instead, shares julajulara (2). This polysemic word means “washed out cloud,” “close to tears,” and “the sadness of life and death” (2). It is used as an important term in tabis, the songs composed by young men from the Pilbara region which make use of words that have three meanings: “at once environmental, bodily, and emotional.” For Wood, poetry, as “that which trades in metaphors” (4), is inherently polysemic. 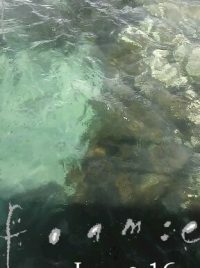 He writes in a poetic style, his essays paying homage to their subject matter, so it seems only natural that he use, judiciously and respectfully, polysemic words from other languages when English will not suffice. For Wood, to write a manifesto about what Australian poetry could be in a hybrid style employing terms from the language of an Indigenous people is not an act of cultural appropriation. It is an act of empathy. He observes, “There is always complicity. There is no ideal person who speaks only against privilege; there is no disembodied poetics that has a pure tongue to speak back against empire, misogyny or history. But, there are allies and preferences” (61). Accordingly, Wood allies himself with the marginalised and voices a preference for inclusivity: “Australia, poetry, poetry in Australia can be a refuge for the sick of the sick, the poor of the poor, the mass of the mass, the weak of the weak, the suffering of the suffering. And it is our responsibility and privilege to make that happen” (xii). Thus, Wood writes of an ethical imperative in poetry as unabashedly as did Matthew Arnold or T.S. Eliot but from a distinctly Australian viewpoint. Wood finds his answer in David Unaipon’s words: “‘Perhaps some day Australian writers will use Aboriginal myths and weave literature from them, the same as other writers have done with the Roman, Greek, Norse and Arthurian legends’” (76). This path is rarely followed in Australian poetry: why do we so often look outwards for inspiration? Is it really that difficult to access Indigenous storytellers and keepers of myths to find a spirit to invigorate our poetry? Wood makes no apologies for discussing the concepts of nation and Australian poetry. He astutely remarks: “Although Clive James might be right when he writes in Latest Readings that ‘Australian poets don’t have to waste their time thinking on nationalist lines at all, because the world is their oyster,’ to think through, of, against Australia enables our corner of the world to become a little better, a little more pearl than shell in the oyster that is the world” (xi). Here, Wood extends an existing clichéd metaphor to repurpose it, making it new again. Indeed, Wood’s deft use of extended metaphor is what unites these essays in both form and subject matter: from the epistolary “Dear Nephew” (1-3) to the more conventional “Everyday Poetry” (4-6) to the prose-poetry of “History & the Poet” (7-10) to the myth-based “On the Island of Beginnings” (78-82). Metaphor is a form of imagery that is more magical and spiritual, more mabarn, than a dry analogy or the hedged-bet of simile. For Wood, the mabarn has healing powers just as poetry has the power to bring rain and rain has the power to bring poetry (9). In his estimate, poetry deals in metaphor and dwells in a realm between the dead and the living. If such esoteric ideas presented so idiosyncratically sound too ethereal to be classified as essays, then Wood’s work is not for you. For the majority of this collection, he eschews the conventional scholarly method of essay writing as formulaic and constrictive, consisting of what he lists as: “uncritical importation of metropolitan theorist… repetitive citation of academic field… selective close reading of poetic text… journalistic prose with emphasis on clarity… affirmation to solve a problem” (26). Following this disinclination to write conventional essays has been a risk worth taking for Wood. These essays represent great breadth of scholarship even as they may baffle the reader with their unwillingness to approach close-reading of any of the plethora of Australian poetry that is at the writer’s disposal. However, several of these essays are prose-poems in themselves and this may be Wood’s greatest legacy for Australian poetry and criticism: a welcome act of hybridisation. Where his work becomes controversial is in his conviction that poetry is and must be a social and political project. Wood maintains that “Poetry is activism of the possible, which means being open to tomorrow’s utopia while being cognisant of the past and present in a meaningful way” (136). Thus, he argues for an Australian poet laureate to be instated as part of a move towards a centralist government with greater taxation of the rich and more funding for the Arts (113). Such ideas are not surprising given the left-leaning politics of most poets and critics in Australia. Yet I would side with John Kinsella’s argument that poetry loses much if it is state-sanctioned. Poetry should be open to all voices: subversive, dissenting, or apolitical. History has shown time and again that a strong state at either end of the political spectrum leads to corruption and suppression of opposition. If Wood’s utopian vision of a “stronger” state with “bank nationalisation” somehow sitting side by side with “democracy” (113) seems hard to swallow, his enthusiasm for poetry as a lived experience rather than a pastime or occupation may appear more palatable. He maintains that: “What poets do in their extracurricular time is incredibly important. How their private citizenship bleeds into their published (and hence public) language matters” (77). Again, however, Wood sees the poet’s role as inherently political, activist, and environmentalist. Is there no room, then, in poetry for the confessional, for the personal, or for so-called art for art’s sake? Must poetry justify its existence by being always, relentlessly, entirely political? Such arguments seem to presuppose that poetry is not worthwhile in itself, that poetry outside of politics must apologise for its own existence: “Sorry I wasn’t out saving the reef from destruction. I was too busy crafting a heroic couplet.” Yes, there is an urgent need to curtail the destruction of the environment. Yes, poetry can and should have the scope to address the political and the social. But to deal in absolutes is dangerous. To say that poetry must be political if it is to be at all relevant is to destroy it as an art form and reduce it to propaganda, however eloquent. Nevertheless, Wood’s work is important. These essays are erudite even as they purport to resist what is conventionally scholarly. Wood is clearly as comfortable with the canon as he is with non-canonical contemporary Australian voices. His arguments are considered and his reasoning laid bare to be scrutinised. He welcomes criticism and his voice is a welcome criticism: these essays contribute much to the current debates in Australian poetics, open up again older discussions, and call for future action as they awaken new synapses in the collective mind of Australian poetry and poetics.